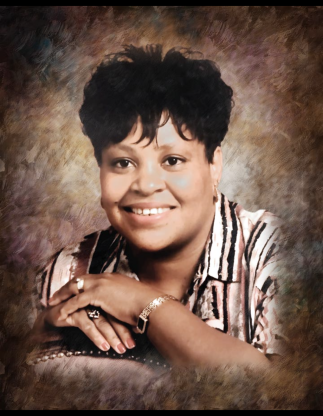 Barbara Reneay Johnson was born December 14, 1958 to the late Herman Williams and Mignon Granville in Upshur County, Texas. She united with Zion Hill Baptist Church at an early age. She attended Gilmer High School and was a graduate of the Class of 1977. After high school, she attended BMI Business College in Longview, Texas and LeTourneau University. She was studying to obtain a business degree. She had the privilege to work for Swepco and numerous banks. At the time of her passing, she resided in Dallas County and worked for Mr. Cooper's Mortgage Company. She was a loving and sweet person. She was loved by many and enjoyed spending time with her family. Barbara Johnson married Piercy Johnson and to this union one child was born, Jacody Johnson. She was preceded in death by her mother, Mignon Granville; father, Herman Williams; and step-mother, Zera Williams. She leaves to cherish her memories her son, Jacody Johnson; sister, Beverly Williams; brother, Charles Williams; step sister, Linda Webb; step brother, Harold Steed; uncles Joe Edward Granville and Herman Wilkerson Jr.; one niece, Ashley Taylor; two nephews, Charles Williams Jr. and Jordan Williams; one great niece, Jayda Williams; three great nephews, Jahron Taylor, Charles Williams III, and Judah Williams. Also cherishing her memory, are a host of aunts, other relatives, friends, and her special friend.